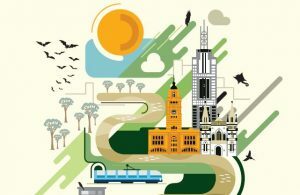 These questions and much more will be discussed at Our City in Nature, a special forum on Tuesday 21st May, 9am-3pm, at the Melbourne Exhibition and Convention Centre. The event is a collaboration between Port Phillip & Westernport CMA, Melbourne Water, Parks Victoria and DELWP (Department of Environment, Land, Water, and Planning) and will feature a range of keynote speakers in the morning, followed by three rounds of small groups discussions in the afternoon. Will our great grandchildren see great wildlife in and around Melbourne? Environmental protagonist Rob Gell vs. Sustainability lecturer, Prof. Sarah Bekessy. Three rounds of facilitated small-group workshops focusing on current initiatives and issues. Please select topic preferences when registering to assist with event planning. Discussion on the success of the ‘Gardens 4 Wildlife’ grass-roots program and how organisations, community groups and local residents can get involved. Discuss plans for breeding and re-introducing native species back to our local landscapes. Help create a map of proposed major ‘naturelinks’ across the port Phillip and Western port region to assist in the development of the next Regional Catchment Strategy. Discuss the experiences of community monitoring programs and explore the reasons for their success in grabbing community attention and involvement. Deep dive into the recently-released Victorian State of the Environment Report prepared by the Commissioner for Environmental Sustainability. Explore recent research by the Threatened Species Recovery Hub that reveals the significant benefits of small habitat patches for threatened species. Discover a new approach to urban biodiversity conservation that aims to achieve biodiversity benefits on site, to increase the opportunity for urban residents to engage with nature. Discuss ideas and opportunities for engaging diverse communities in our parks. Where, why and how many? Discuss the impacts of deer on our environment. Discuss the communication strategies and tactics our river and bay keepers use to achieve a high public profile and better protection of our local waterways. Discuss approaches for engaging young people in conservation and environmental action, as well as broader questions relating to connecting the community with nature. Young Melburnians share their hopes and vision for the future of nature in and around our city. Tickets to Our City in Nature are $60 per person. Morning tea and lunch is provided.